1972 Search & Rescue Pinz (*warning* picture heavy) - THE PORTAL HUB - Pinzgauers, Haflingers, Volvo 303s and more! I have been a long time volunteer with Search and Rescue in King County. 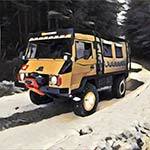 I belong to King County 4x4 Search & Rescue, King County Explorer Search & Rescue, and am a member of the Washington State Regional Special Vehicles Unit (Snowmobiles, ATVs, Dual Sports, etc.). 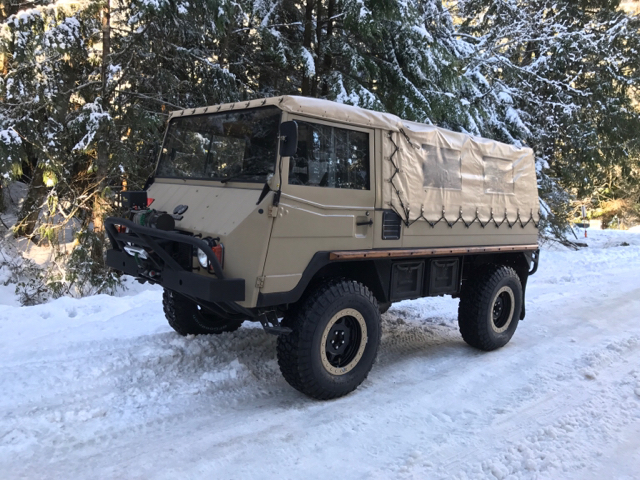 After looking at a lot of options I decided on a Pinzgauer. 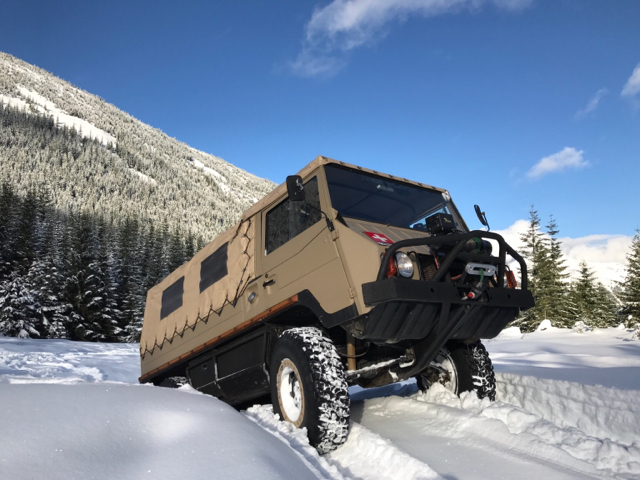 They are small and capable (good for the tight trails in Washington), have a large capacity for people and gear, and definitely have that attraction factor I was looking for. I shopped for almost a year before I settled on a 1972 710M in San Diego. I fly down to pick it up at the end of the month and will be shipping it home as I will be on a business trip and unable to drive it back due to time constraints. Go through it end to end and replace all fluids and address any maintenance issues found. Get a little time behind the wheel to validate my assumptions and make any changes needed to the build plan. 2.7 liter high performance motor with custom cam and forged pistons. Well, power steering is really the last thing to add to your truck (if you don't wish to have an upper body workout from time to time...). To have a slide-in / slide-out box for SAR, the fixed sides and rollbar of the Pinz are going to be in the way (depending on the box size of course...). If you want a full-width box, a split tailgate may be the solution. They were used on Swiss 712M that were used for Rapier ground-to-air missile resupply. I believe some of the US-based suppliers have them on inventory. GenevaPinz wrote: Well, power steering is really the last thing to add to your truck (if you don't wish to have an upper body workout from time to time...). Barn doors is a great idea Jan! GadgetPhreak, here are some pics in case you have not seen them before - they would replace your current rear door and the small side panels. Then all you would need to do is make a quick release for your rear roll bar for when you want to slide in the new alum box! Great suggestion! Thank you both. I'm flying down to San Diego tomorrow to finally see and pick up the Pinz, I can't wait!!! The seller just sent me this photo of all the gear he's found so far that is going in a bin and coming with the rig. I've also been chatting with Andre about the build out for Search & Rescue. Once I finalize the details I'll post a summary and link to the PDF. Flew down to San Diego today and saw the Pinz for the first time. No surprises, was exactly as I hoped. It's a great rig and will serve as a great platform for my build. The owner was fantastic and spent the entire day with me, walking through the rig and going over it end to end. I can't wait to get it home and get started on the build. Glad it worked out and its a nice one. Its always a good start when the previous owner/builder is able to go over things with you. Shipped, driving, stopping at Jims or Daves to check stuff out or are you headed South with it to Andre's? It's on the truck and headed this way! After putting in a refreshed gearbox from Expedition Imports, a new clutch, new master and slave cylinders, flushed all the hydraulics, topped all fluids, and installed the new rims and tires, last night I finally got to take it out on its first off-road test. The short update is, it performed great. 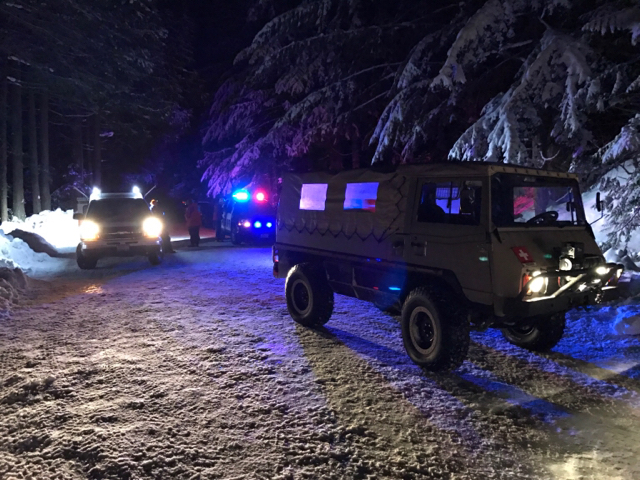 As I was heading out of the woods I was flagged down by a hiker who informed me that an ice climber had been injured at Franklin Falls and what started as its first off-road test became its first SAR test as well. All in all it took 8 hrs, with 10 trips transporting in the rescue crew, and one trip transporting the subject down to the ambulance (by folding down one side in the back so the litter/stretcher could slide in while EMTs sat across and tended to him). The Pinz never skipped a beat. What an incredible rig. I really got a good sense of what I need to change. - Need to move the seat belts in back to make it easier to fold/raise them. I suspect that's why some have moved over to the e-track. - Need to install the Vision-X LED headlights I bought, fix my reverse lights, and add additional lighting for mission activity. - No hot air blowing at all and the fan makes a terrible noise. - Time figure out my overhead mount for my radio heads and decide on what approach I get going to use to power all four 12volt radios. - Build a mount for my little buddy propane heater to help heat the rear in the winter. - Dont need to add a tank to the onboard air compressor as it is much faster than anticipated at filling all four tires after airing down. 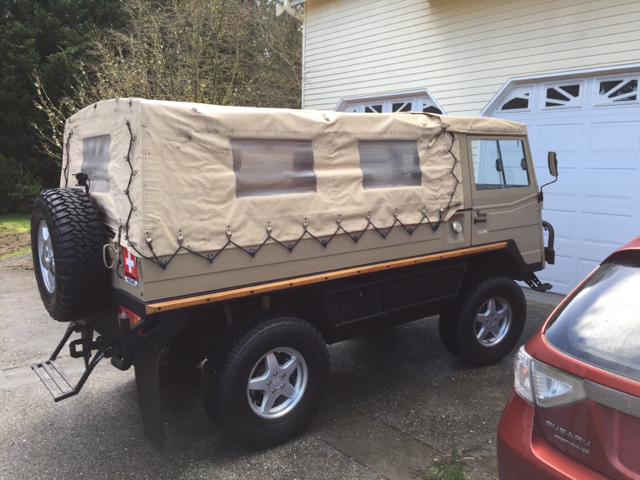 - Roof rack needed for lights, antennas, and ad hoc gear hauling during a mission when back is full. 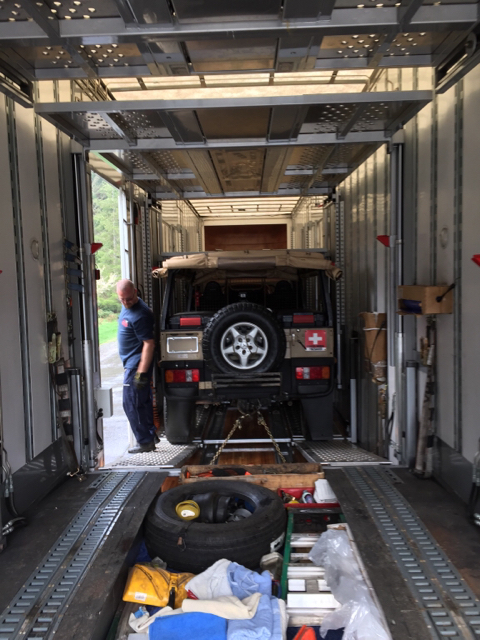 - Figure out where/how to store my recovery gear so I can move it up to the roof rack quickly when hauling a full compliment of searchers. Overall it did exactly what it needed to and was a true hero at last nights mission. 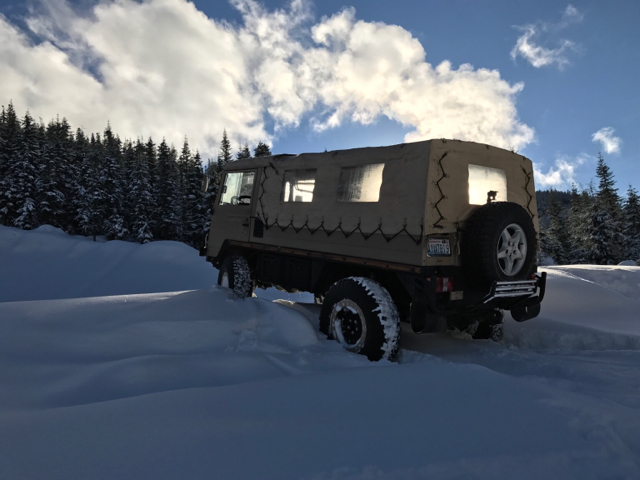 I was able to get rescue teams all the way up to the trail head in about 7mins whereas a similar mission in the same place was a 6hr trudge through waist deep snow. By dropping down to 4-5psi in each tire I could float right on top of the snow and drive straight in. Can't wait to get this set up right and put it into regular service. 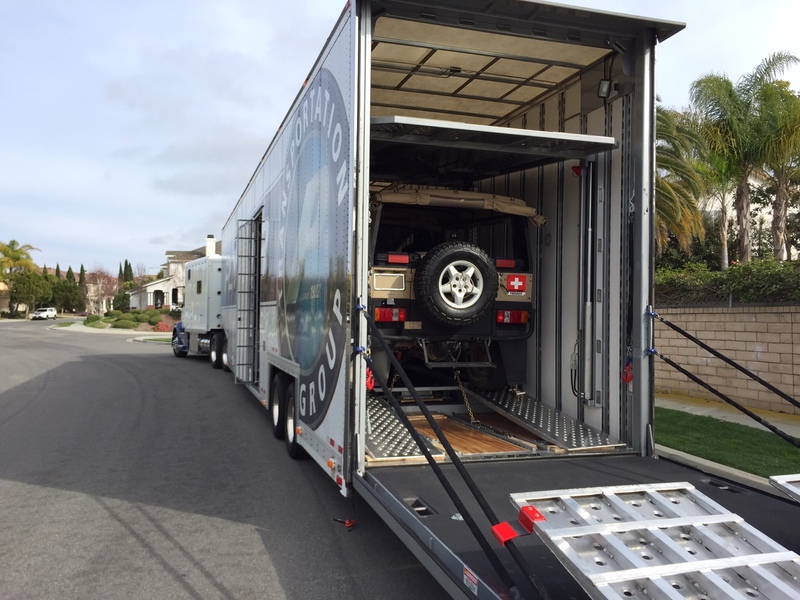 A huge thank you to Expedition Imports for all of the parts and help, to Andre for his previous work on this rig and his advice and inspiration on how to set this up, and to Jim LaGuardia for his "phone a friend" support on the gearbox issues. You all made last nights mission possible and contributed to saving a man's life on Christmas. "Always prepared, that others may live"
Last edited by GadgetPhreak on Mon Dec 26, 2016 2:38 pm, edited 2 times in total. Here's a few pictures of the day.